Walking through the streets of Brazil, you will inevitably run into a roda de samba, a group of amateur musicians jamming along at a bar after work or during a weekend. It is an improvised thing that happens all over the country. The pandeiro, a cousin of the tambourine, is as indispensable to the genre as maracas are to salsa. The pandeiro's characteristic sound is the soul of samba, and it is often showcased when Brazilian musicians like Sergio Mendes perform. The instrument, though, had never been used in a jazz context until New York-born Scott Feiner came along. A former guitar player in the mid-90s, Feiner had dropped out of the music scene after years of performing in venues like Augie's (now Smoke) and also internationally. "I actually stopped playing music altogether for about four years, but during that time listening to music took on a renewed pleasure and part of that was due to my discovery of Brazilian music," he says via email. "My passion for it got so strong that I decided to visit Brazil in 1999 and that's when I first saw someone play a pandeiro and was immediately drawn to it." Feiner moved to Rio de Janeiro, where he began to sit in with local professional musicians performing chorinho (an early form of samba) and other musical styles. "When I started to play pandeiro, and especially when I moved to Rio, I played within traditional settings, but after a few years of that in Rio I found myself missing that level of improvisational creativity that you find in New York. "On a visit home in 2004 I was offered a gig in the West Village and decided to try to experiment a bit. I played a duo gig with an old friend, and recorded it on a MD and brought it back to Rio with me. Every time I listened to it I wondered if there was enough potential to make a CD with this setting. At the urging of some other musicians, I set a recording date in NY in 2005. That became Pandeiro Jazz." You immediately get a feel of it on Stevie Wonder's "Big Brother", and though Coltrane's "Giant Steps" has a samba feel, you hear how far Feiner can take the pandeiro, replacing the drums with a richness of sound that is nothing short of amazing. Feiner says that he plans to expand the concept even further. "I think what makes my project special is the contrast of the pandeiro inside a jazz setting, especially with the absence of a drum set." The instrument's roots, though, are often a barrier for listeners. 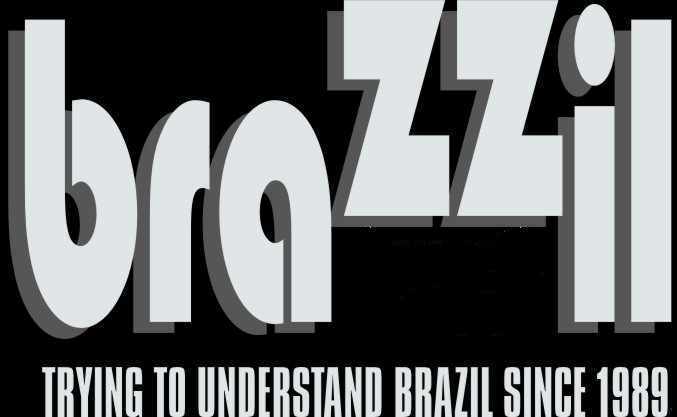 "It's funny though, even when I'm playing a funk tune with electric bass, electric guitar and saxophone, the pandeiro has such a strong Brazilian identity to it that people still think of the sound as 'Brazilian Jazz' … but I don't. Note: This is a reprint from The New York Press.